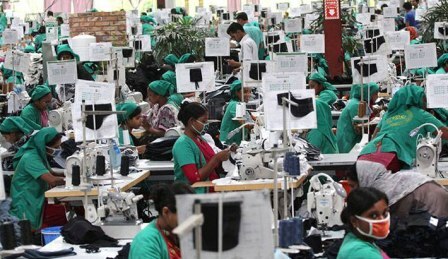 Staff Correspondent: Manufacturers of the country’s garment accessories urged the government to lower corporate tax to 12 per cent in the next budget so that they can remain competitive in the global markets. Currently the accessory manufacturers pay a whopping 35 per cent corporate tax. According to BGAPMEA, the knitwear and woven manufacturers and exporters pay 12 percent corporate tax. While the RMG manufacturers, who are certified as green building, pay 10 percent. Garment accessories industries are considered as the backward linkage industry for the readymade garment sector that contributed nearly 90 per cent to country’s export earnings. They are closely linked with the apparel sector and work to provide relevant accessories within a short span of time helping garment suppliers to export within the delivery time frame. Despite being 100 percent export oriented industry, the garment accessories and packaging manufacturers are paying 35 percent corporate tax which, industry leaders said, is a total discrimination to the sector. “For the sake of country’s economy and exports, we earnestly urge the government to bring down the tax rate to 12 percent in next fiscal year,” said the association in its proposal to be submitted to the NBR. As a backward linkage industry, we are contributing a lot to the overall export earnings of RMG sector. It is quite unfortunate that we are not getting recognition of our contribution, said BGAPMEA President Abdul Kader Khan. Considering the sector’s contribution to employment generation and foreign currency earning, the government should provide us equal policy supports, he added. If the government brings down the corporate tax for the backward linkage industry, the sector will be able to earn more foreign currency, said Kader. The association also urged to bring down the tax at source to 0.50 percent instead of 0.70 percent and consider it as the final tax. They also urged the government to provide cash incentives, what the other industries enjoy against their export earnings. Besides deemed export, the garment accessories and packaging products manufacturers are exporting their products directly and if the government provides cash incentives against export, the earning will see a big jump, said Kader. If the sector gets proper policy support from the government, I think, we will be able to earn $18 billion by 2025, he added.